With the amazing help from many of our participants and friends we’ve relocated to the other side of Carlisle Train Station. It’s a little further to walk (you can use the elevator to avoid the up-and-down of the bridge) but the new space is perfect—friendly and warm, full of colour and interesting things. Come down on Thursdays and Friday afternoons to join our brilliant WEA courses in writing, reading, and experimental mark making (drawing!) for all levels of ability. Everyone very welcome. 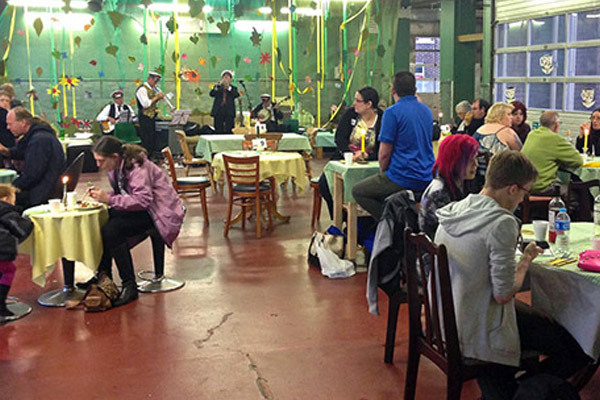 There’s also our regular Friday morning drop-in Creativity & Craic session for a whole range of creative bits and bobs. Come on down and see what it’s all about! It’s really very good. Sessions are free to attend but we do welcome donations. 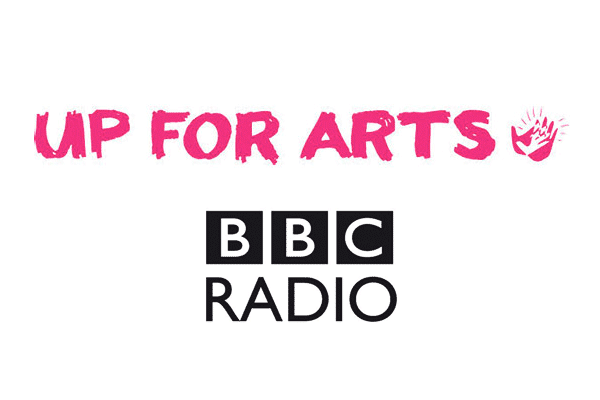 Creative Wellbeing is unfunded and only continues through the love and sheer determination of our founder, Rebecca Mellor, and with donations from our many participants. Please share with anyone and everyone who may be interested! Thank you. 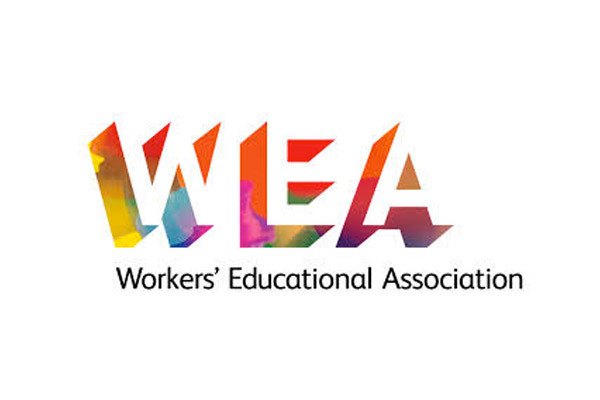 In addition to our Friday Creativity and Craic drop-in and monthly Saturday Taster sessions, we’re excited to be adding three new 10-week courses in association with the Workers’ Educational Association. All sessions continue to be free to attend and are open to all members of the community. Sessions marked with * are 10-week courses which require registration at the first session and that you attend at least 50% of the sessions. 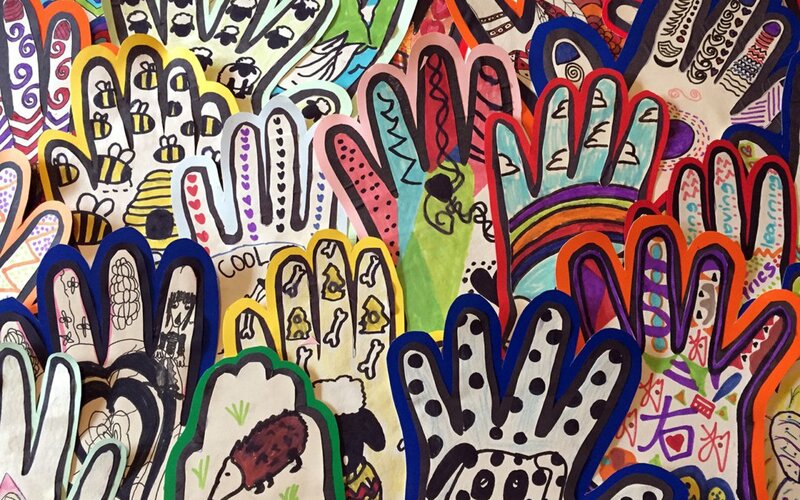 Please be aware that these sessions will run depending on minimum sign-up figures, so please get yourselves there to sign up and support future provision of Creative Wellbeing in Carlisle. Continuation of our Thursday sessions requires anyone interested to be there on 7th January to register—even if you can’t stay the whole session! Please share with anyone and everyone who may be interested! 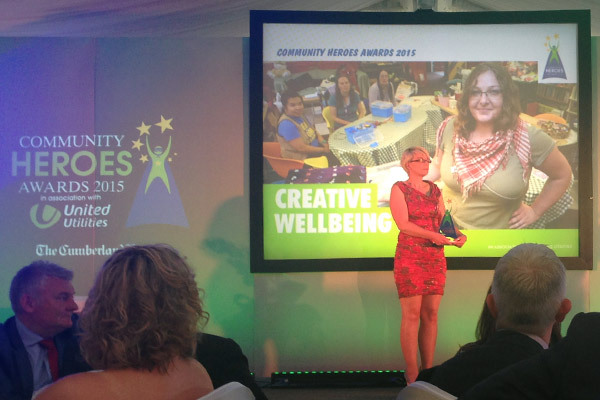 We were honoured to be selected as a finalist at the Community Hero Awards 2015. Sponsored by the Cumberland News and United Utilities, amongst others, we were in excellent company at Dalston Hall for the ceremony. Many lovely people doing excellent things in their community. Thank you to everybody who nominated us and to all the many, many individuals who are involved in the project as participants, volunteers, ambassadors, student placements, facilitators and partners who make Creative Wellbeing what it is! Our tenure at the Old Fire Station has come to an end. 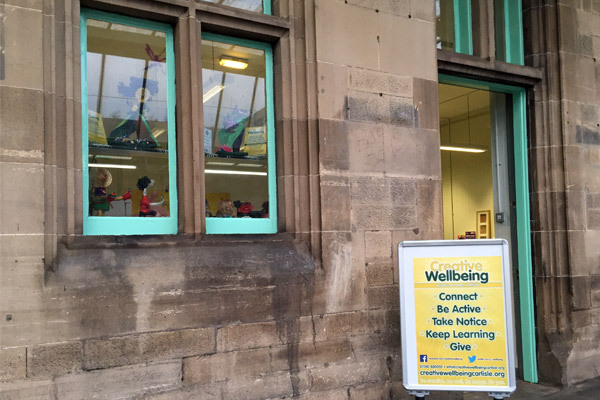 While the city council spends the next year or so renovating the building into a new, long-overdue, arts centre for the city, Creative Wellbeing has partnered with Virgin Trains to deliver our weekday sessions in the magnificent Carlisle Citadel train station. Built in 1847 in a neo-Tudor style, our rooms are beautiful, spacious and splendid. 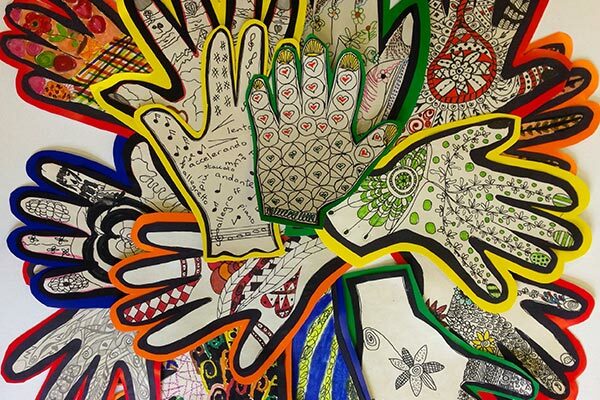 Come down on Friday afternoons, 1-3pm, for a variety of creative sessions. We’ll be updating our calendar with all the latest events so please check back regularly or, even better, subscribe to our mailing list. A very successful Showcase Event at the Old Fire Station marked the end of our time there, and celebrated the achievements of the project and our wonderfully diverse participants. We raised over £450, which will be invested into providing more activities in Carlisle. 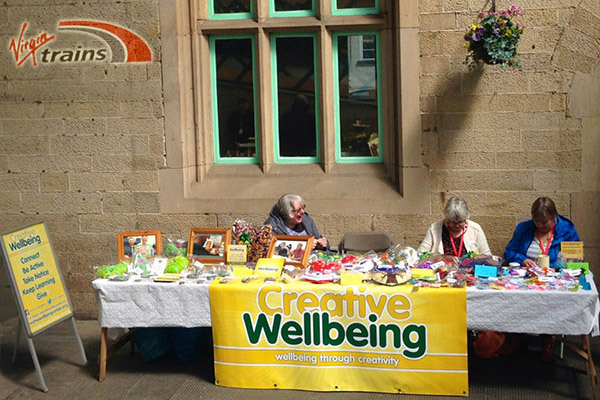 A huge thank you to everybody who came along and supported Creative Wellbeing.